I love this series and this is my favourite story so far. I’ve been intrigued by Zachary/Ariel from the start and Zachary’s story doesn’t disappoint. 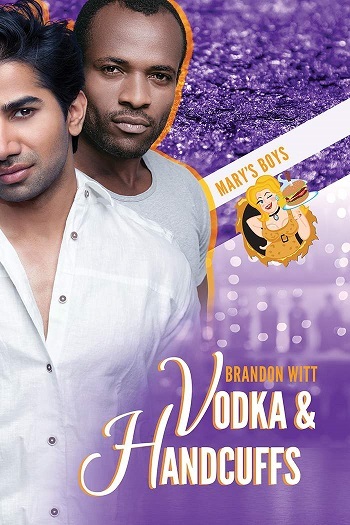 This story starts in a dark place – Zachary is badly injured in a homophobic attack and Teegan is the doctor who patches him up. Instead of feeling pity for his patient, the sense of belonging and love provided by Zachary’s Hamburger Mary’s family draws Teegan’s attention to his own loneliness and isolation. Teegan and Zachary complement each other perfectly. I loved their first awkward attempts at dating – Teegan’s first ever date with a man. Zachary struggles for confidence after his attack while Teegan struggles to balance his own needs against his parents’ expectations. I love the way these two make each other stronger even as they endure an incredibly uncomfortable first date. I love Zachary’s experiences as Ariel Merman. The confidence he feels as his drag persona is wonderful and I enjoyed the rehearsals and Ariel’s complicated make-up and elaborate costume routines. Ariel’s relationship with her drag mother is special and I always love Mandonna! Teegan’s relationship with his ex-wife is really sweet and his interactions with his daughter were lovely (though I’m glad the child stayed at the edge of the story). By this third book, we know the Hamburger Mary’s family well and I enjoy the characters more with each story. Watching all the characters pull together and care for Zachary while he recovers was really lovely. These books always feel like a warm hug and I really needed this book today. 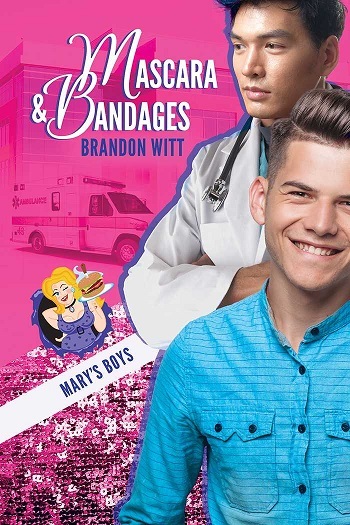 Reviewers on the Wicked Reads Review Team were provided a free copy of Mascara & Bandages (Mary's Boys #3) by Brandon Witt to read and review.